At this point, we’ve heard plenty about your bad car decisions. Now, it’s time to switch things up a bit and look to your parents. I’m sure they’ve also made some poor automotive decisions and then simply passed the genes on down to you. Resident car-buying expert Tom McParland’s dad spent time running around with Infiniti G-series coupes—three of them, all with manuals—before getting a Mercedes-Benz CLA, and then another CLA after that. Now, there’s nothing wrong with a CLA at all, but it definitely seems like a step down. They’re boring and they don’t sound very good. Jalopnik tall man Erik Shilling’s mother once sold her Volkswagen Beetle for a Ford Pinto. Like, what! She traded her wonderful, air-cooled Beetle for a car that admittedly looked neat but also allegedly liked to catch fire. I asked Erik if he’d ever ridden in the Pinto. And finally, as some of you might know, my mother liked Toyotas. Her last one was a red Celica All-Trac with a five-speed manual. But after my brother was born, she couldn’t really take two small children around in a coupe anymore, so she got a white Audi A4 instead. It was a manual also, just not as cool as the All-Trac. From there, we then got an A6 station wagon, which everybody hated because it was in the shop every other week. I kind of wish she’d kept the All-Trac and just stuffed us kids in the back seat. It builds character. Anyway, now it’s your turn! 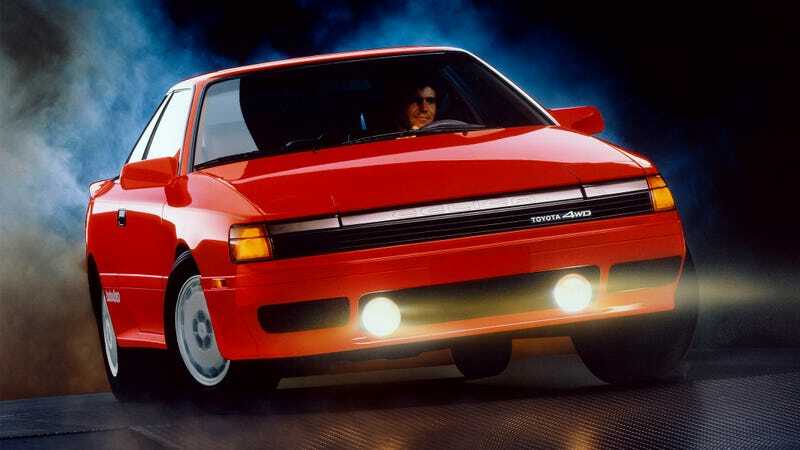 What bad automotive decision did your parents make?